Mandalay – The Bagan branch of the Department of Archaeology, National Museum and Library said the historic site is ready to host members of the World Heritage Site Committee, which is sending a team to visit the area in September. The International Council on Monument and Sites (ICOMOS), a UNESCO advisory body, will also do a ground inspection and offer its assessment of Bagan’s bid to be included on the UN agency’s list of World Heritage Sites. “The requirements such as the additional reports that the council suggested we do have been completed and we are ready for the ground inspection,” said U Aung Aung Kyaw, director of the Bagan branch of the Department of Archaeology, National Museum and Library, which comes under the Ministry of Religious Affairs and Culture. The ICOMOS ground inspection team will submit its findings to UNESCO, which will then deliberate on Bagan’s candidacy at its next World Heritage Site convention, in 2019. Since 1994, the country has sought to register the area as a UNESCO World Heritage Site. However, the original application was rejected due to the site’s failure to meet the requirements of World Heritage Site status, on account of alleged mismanaged development plans and sub-standard, inauthentic restoration efforts under previous governments, especially in the 1990s. 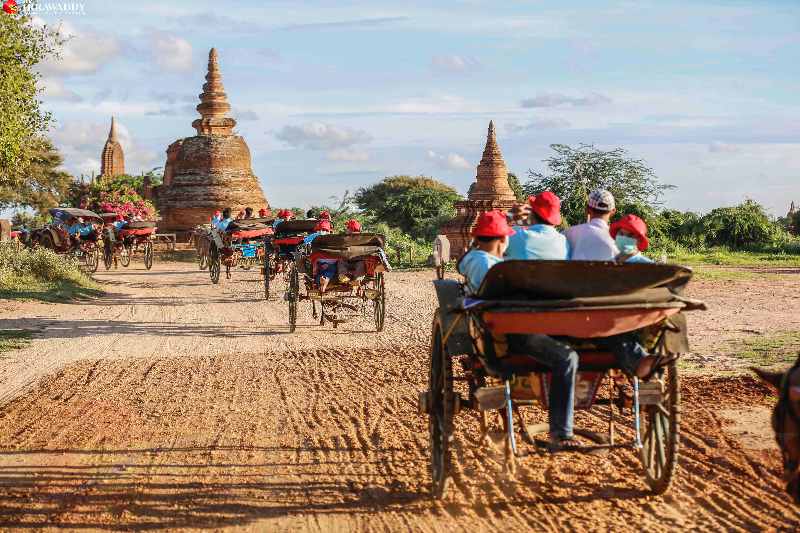 In 2014, the Ministry of Religious Affairs and Culture again nominated Bagan for a UNESCO World Heritage Site listing and the nomination dossier was submitted in 2016. Bagan is one of the country’s major tourist attractions, with more than 3,000 pagodas and temples dating from the 9th to the 13th centuries. At the same time as it prepares for the UN team’s visit, the ministry is holding a series of meetings with hotel owners in Bagan to find a solution to the problem of hotels built inside the archaeological zone. “We could not take a decision immediately to relocate the hotels as we need to think about the interests of both sides. However, we believe we will find a solution that will not hurt either the country’s heritage or business interests,” U Aung Aung Kyaw said. In November 2017, the Ministry of Religious Affairs and Culture said it would negotiate with the owners of hotels built within the ancient city’s archaeological vicinity to designate hotel zones or relocate them away from the ancient pagodas. Meanwhile, there has been rising criticism over landscaping practices near the ancient Tharapa Gate. The department is planning to plant grass near the Tharapa Gate, and locals worry the watering system could harm the adjacent old wall. “The gate is already beautiful in its own ancient way. Manmade landscaping with planted grass will not attract visitors, but only have a bad impact on the ancient wall,” said U Thura, a local environmental activist. The locals said trenches dug for the watering system at the base of Tharapa gate’s wall will weaken the old structure. “Since Bagan is in a dry zone, the grass will need to be watered. Then moisture could affect the strength of the ancient wall. We’ve told the authorities but they do not listen. We are afraid this could affect the UNESCO bid, too,” U Thura said. U Aung Aung Kyaw, however, played down the worries, telling The Irrawaddy that the lawn would be about 5 to 10 feet from the gate and that it would not affect the ancient wall. “We can assure everyone that it will not harm the heritage (of the structure) and that we are doing this in line with an expert’s recommendations,” he said. Traffic passing through Tharapa gateway has been restricted since about 8 years ago to prevent the vibrations from affecting the ancient wall. Only bicycles, motorcycles and electric bikes are currently allowed to pass through the gate. However, the department said it would reopen the gate to small cars driven at slow speeds, to ease traffic jams in the peak tourist season. “We also received concerns over the reopening of the gate. People think we will allow big tour buses to go through. We also have concerns about the conservation of the ancient walls and we will allow only small cars and will limit the speed. This is to prevent traffic jams as the influx of visitors into Bagan is rising,” U Aung Aung Kyaw said. To provide the information to visitors, the department, with the help of Computer University and Thailand’s National Electronic and Computer Technology Center (NECTEC), is installing QR code boards at 20 pagodas in Bagan. Visitors can easily scan the QR codes on their mobile phones and obtain the history and other information about the pagodas displayed as text and audio, in both Burmese and English. “Since this is a testing period, the information is not complete yet. But we are trying our best to update the data and we will install the QR code boards at the remaining pagodas and temples very soon,” U Aung Aung Kyaw said. The QR code boards were being installed at 20 well-known pagodas in Bagan, including Sularmani Pagoda, Ananda Pagoda, Bu Phaya, Manuha Pagoda, Thatbyinnyu Pagoda, Gadawpalin Pagoda, Pyatthatgyi Pagoda, Bulaethee Pagoda and Dhammayazika Pagoda.